Wear your love for Star Wars right on your back! A fun and unique way to carry and store your belongings. 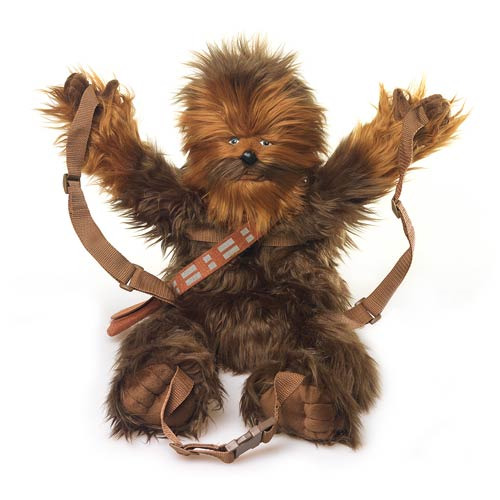 Wear your love for Star Wars right on your back and enjoy the ultimate in Wookiee protection with this Chewbacca Back Buddy. You'll never feel safer than with everyone's favorite "walking carpet" on your back and holding your stuff. A fun and unique way to carry and store your belongings, he's both squeezable and collectible! Take home this useful little Wookiee today! Measures about 27-inches tall x 12-inches wide.